Enjoy fantastic ocean views from this well designed luxury condo. 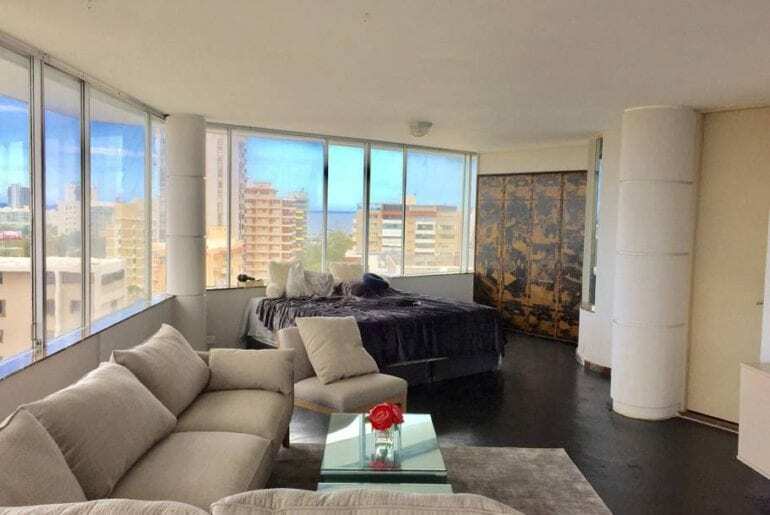 Located in the popular Condado area and in walking distance to everything. 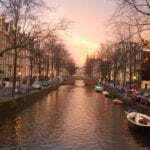 This 1 bed 1 bath condo is perfect for couples or single travelers. Situated just a short stroll from the beach, shopping and old San Juan. $165 per night. 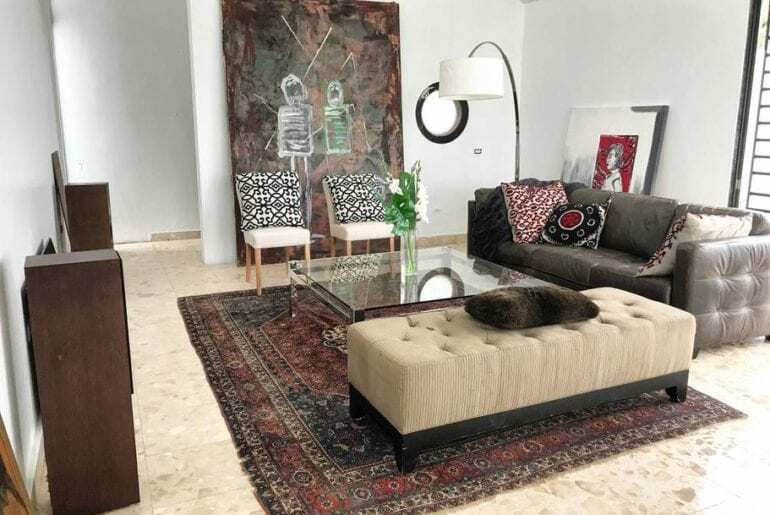 This Airbnb Puerto Rico property is an extremely tasteful and modern apartment in a quiet residential building. Literally just steps to the beach this 3 bedroom apartment has all the amenities needed for your stay. Beautiful views of the Atlantic and situated close to popular bars and restaurants. $250 per night. 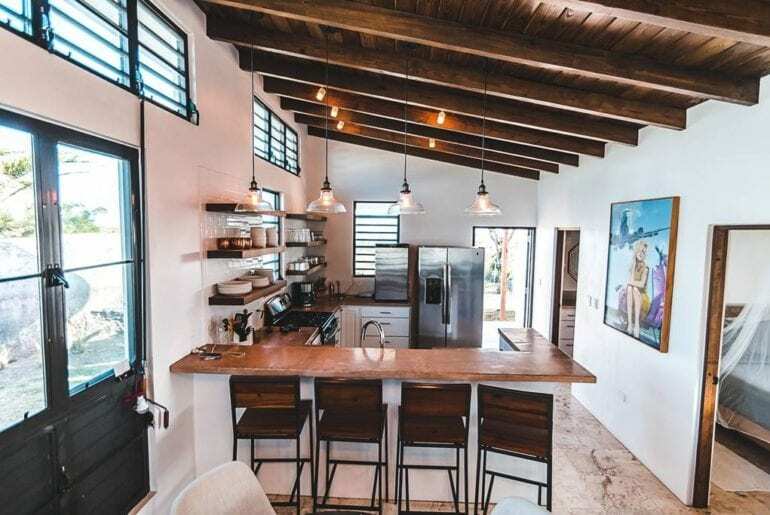 Enjoy Puerto Rico at its best from this fully renovated 2 bedroom casita property. 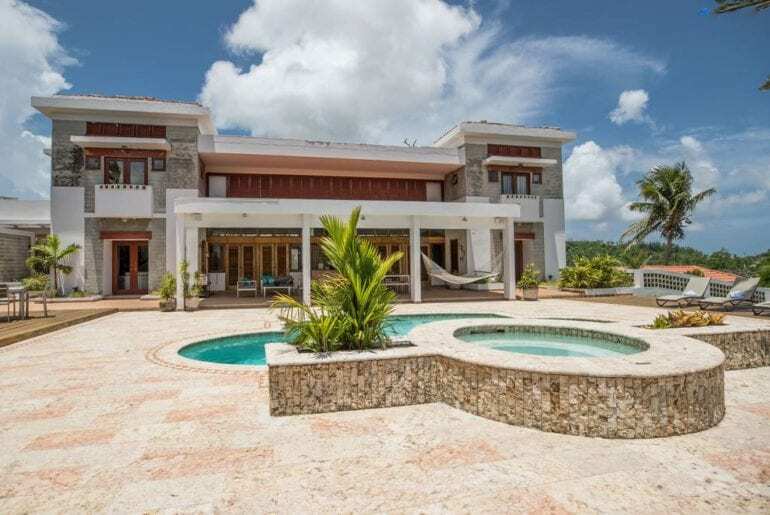 This luxury home has secure gated access and is located right on Coco Beach. Located in Vieques close to Esperanza and just a short way from all the popular tourist areas of the island. $389 per night. 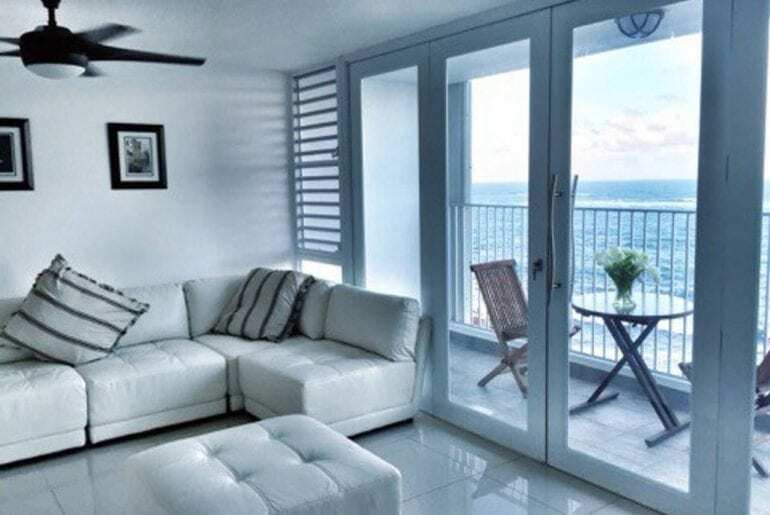 Stunning views of the Atlantic ocean, the old city and the Condado Lagoon from this luxury home. 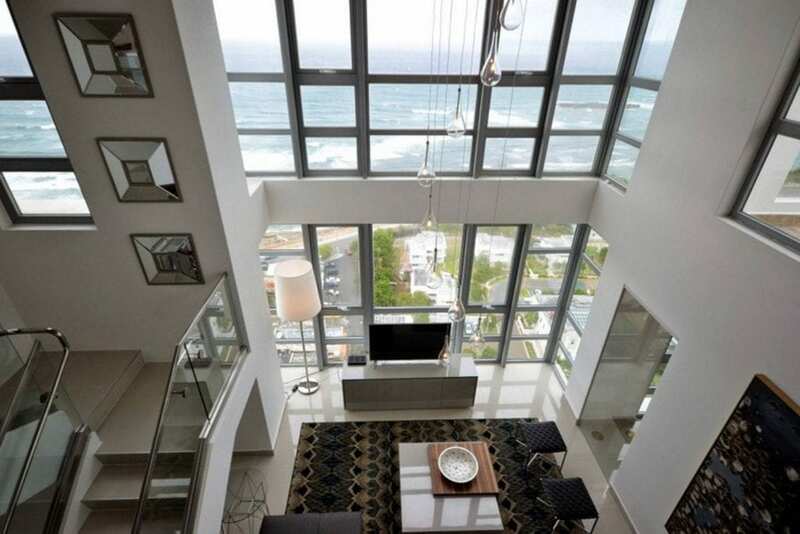 This 3 bed penthouse features floor to ceiling windows and a fully equipped gourmet kitchen. The building has a concierge lobby, gym and business center for guests use. $510 per night. This 5000 square foot home is in a sought after luxury gated community of Puerto Rico. 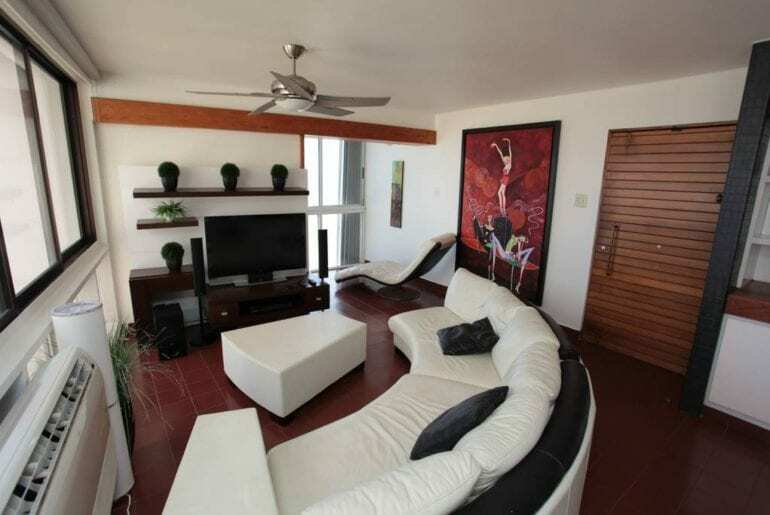 Close to the airport, cruise port, and San Juan this 4 bedroom property can accommodate up to 12 guests. Perfect for family get togethers and entertaining, the home has its own private swimming pool. $200 per night. 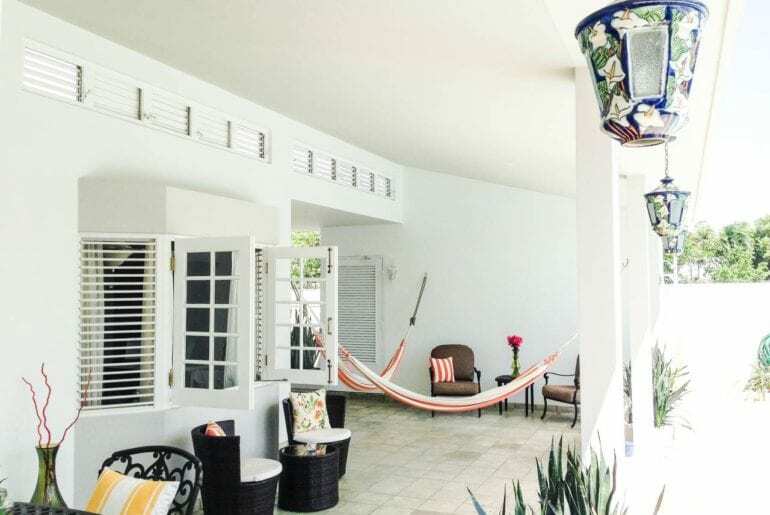 Definitely one of our favourite Airbnb Puerto Rico properties, and located close to the beautiful beaches of north east Puerto Rico. 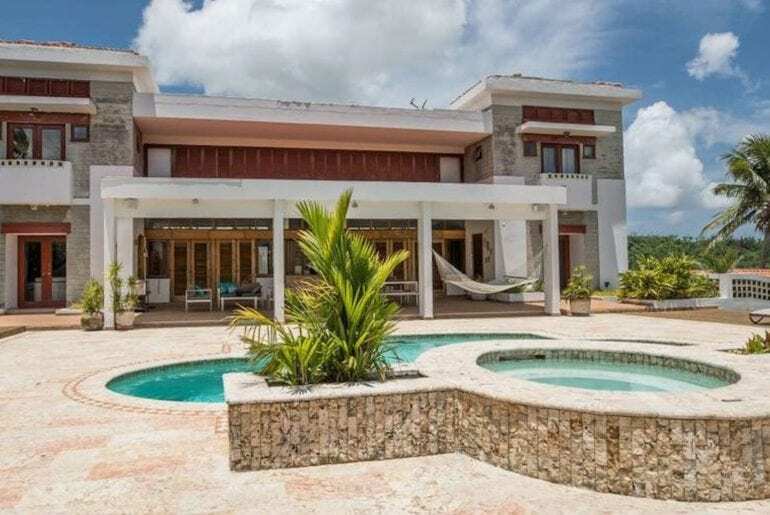 This mansion house has stunning panoramic views of El Yunque National Park. This 5000 sq ft tropical home has been designed by a renowned local architect. It features a patio, gazebo, and swimming pool and is situated on half an acre. $450 per night. An elegant 4 bedroom home situated in the private gated community of Dorado del Mar. This tastefully appointed home has plenty of natural light and features its own pool, terrace and private patio area. Within walking distance to the beach. $295 per night. Gorgeous views of San Juan bay from this flamboyantly decorated Puerto Rico Penthouse. This 4 bedroom home offers spectacular sweeping views of the Atlantic and can accommodate 8 guests. Located within easy walking distance of popular local shops, bars and restaurants. $220 per night.